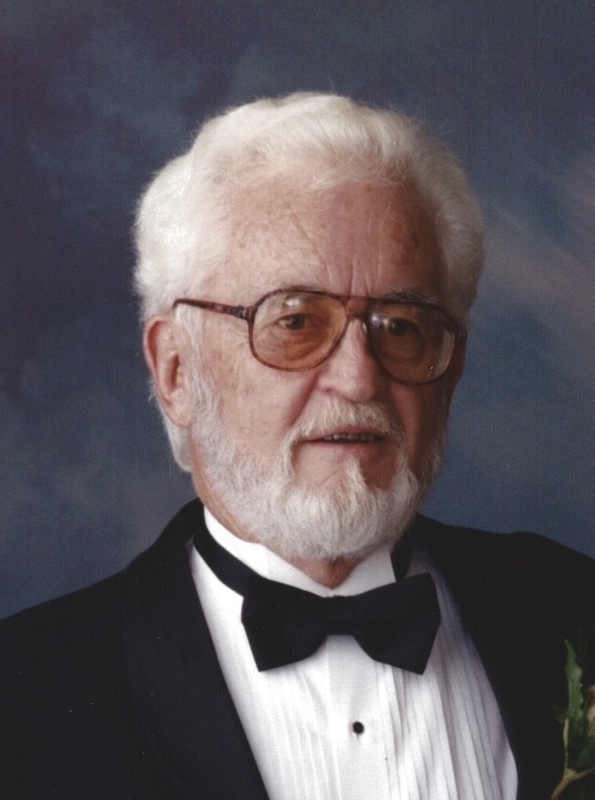 Obituary for Robert William Giffels | Langeland Family Funeral Homes, Inc.
Robert William Giffels, age 96, of Kalamazoo, died peacefully on April 5, 2019. He was born in Grand Rapids on February 15, 1923 the son of William C. and Caroline E. Giffels. Bob served in the Pacific theater as an Army medic during World War II. He graduated from the University of Michigan and worked in the insurance industry for Farm Bureau, Marsh & McLennan, and was co-owner of the Ellis & Hughes agency. He married Margaret Ann Erazmus on July 7, 1951, and they celebrated 61 years of marriage together. Bob enjoyed spending his free time at his Gun Lake getaway, and was known to catch many a bluegill, both medium and small. He enjoyed his Saturday night poker games where the pots were never light, and he always had a ten-cent cigar to share. Bob was preceded in death by his parents; his wife; brothers, James, William, Thomas and Richard; and son, John (Theresa). He is survived by his sister, Mary Louise Halter, his other six children, Mark (Tricia Scott), Robert (Maria Fresse), Carol, Edward (Nancy), James (Yujing Geng), and Elizabeth (Dennis Darnoi); 13 grandchildren and five great grandchildren. A celebration of Bob's life is being planned for later this year. Donations in his memory can be made to The Nature Conservancy.